The Cats of the past have collided with the Cats of the present! 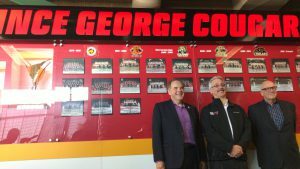 The Prince George Cougars have taken the next step in commemorating their 25th season in the City by unveiling a new trophy case in Section ‘C’ of the CN Centre concourse. Team spokesperson Gary Samis, who helped kickstart the idea of the wall, says the project has been in the works for more than a year. 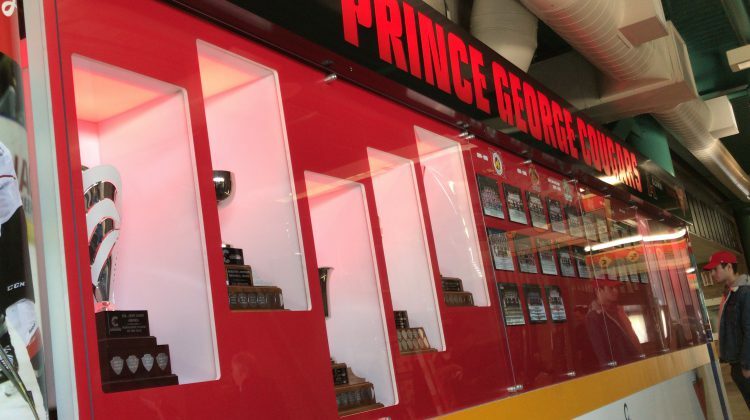 The case includes every Cougar individual award, handed out at the end of each season, all six logos the team has used since moving to the Northern capital, and every team photo taken since the first season in 1993. Samis hopes fans and alumni can use this display to reflect positively on the team’s impact. Canadian Tire is the title sponsor for the wall, with more content to be added in the years to come. The Cougars play their first and only home exhibition game this Saturday, 7PM against the Kamloops Blazers.